This is a post I have been reluctant to write. Too many Sundays I have heard preachers preach about how persecution is coming to the United States of America. "It is inevitable," they would say, "We see it happening — slowly, but surely." Here's the thing, I can't ignore it anymore. I cannot rationalize the events that I have seen from afar and the people I have prayed for in their moments of grief and tragedy. There is an undercurrent of resentment and hate that is building up and bubbling over. People are very angry for a lot of different reasons. 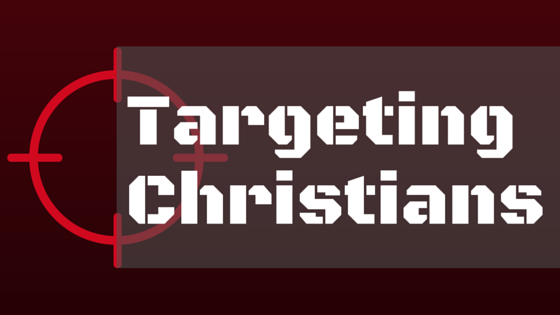 Emerging is a common target, others in their community who believe in Christ. This is not an isolated occurrence any longer. It can and has happened anywhere, from the Northeast to the Southwest. The Southeast and the Pacific Northwest are not exempt from this trend. In this article, I will give a rundown of five of these instances from my memory alone. All linked articles were published either by the New York Times or NPR. This is the most recent tragic school shooting. On Thursday, October 1, a gunman walked onto campus at Umpqua Community College and opened fire. He killed nine before shooting himself. Early reports indicate that his procedure included a question about his victim's religion before determining what kind of gunshot wound they would receive. Willis, who visited her granddaughter in the hospital, said Friday Boylan told her the shooter was asking students about their faith. "If they said they were Christian, he shot them in the head," Willis said her granddaughter told her. I understand that these reports are early and may be discredited somewhat. However, the typical smoke/fire relationship indicates that there is likely substance of one kind or another to this story. The infamous Columbine High School Shooting in 1999 is my earliest memory of this kind of tragedy. I know this kind of homeland terrorism has happened as long as humans have had access to weapons, but this is the first time since I reached the age of reasoning that this kind of story made the news. It didn't help that I was slated to begin high school in 2000 after 4 years of homeschool instruction. The popular story of Cassie Bernal has been debated and likely debunked. However, it appears that the conversation between the gunman and someone did occur. The person was shot for replying affirmatively that they did believe in God. That is persecution. It also qualifies as public intimidation. On April 2, 2012, a gunman (and previous student) entered the campus of Oikos University in Oakland, California and began shooting. He killed seven and wounded three. He was later caught. While it is unclear what the gunman's motivation was, his target was crystal clear. Oikos University is a Christian university, affiliated with Praise to God Korean Church. While enforcement is impossible, attendees at Christian Universities are typically professing Christians. Connect the dots. On October 2, 2006, a man decided he would hold up a one-room, Amish Schoolhouse and shoot little girls. This one was personally devastating. My best friend grew up in Lancaster, PA. I visited the area several times. I have great respect for the Amish and their devotion to their faith though I don't agree with their stance towards technology (minor point of dissension). Although their community was targeted for terrorism, the story of forgiveness that came out of the tragedy is awe-inspiring to say the least. It does not matter that I disagree with their stance on technology when I whole-heartily endorse their stance on forgiveness. This is a community that lives out their genuine faith. I respect them for that. On June 17, 2015, a white gunman opened fire inside a black church in Charleston, SC. Nine were killed because they were inside Emanuel African Methodist Episcopal Church after 9 PM. Undoubtedly, this mass shooting was motivated by racial prejudice. However, the targets were believers who had gathered together in their house of worship. The one does not discount the other. This a classic scenario of the persecuted church. Could it happen again? Absolutely. Last year, I was offered a job at Charleston Southern University, a Baptist university in the same city as Emanuel Methodist Episcopal Church. So yes, this hits home. I could have been in that area. The trend is for these shooters to operate out of School Libraries and Churches. As a librarian and a Christian, this could happen to me. I know that sounds really personal and morbid, but it must factor into my thought process. While it is implausible that the US government will ever officially endorse the persecution of Christians, that doesn't mean it does not happen. It certainly happens every day. Sometimes it becomes violent and deadly. These are just a few examples that have occurred in a 16-year span. Finally, as Christians, we follow a God who knows the tribulations we are subject to in this world. Guess what, he knows because he was in this world and experienced them. He not only experienced persecution, he overcame it. He is powerful to save us as well. That gives us peace to continue living for him.